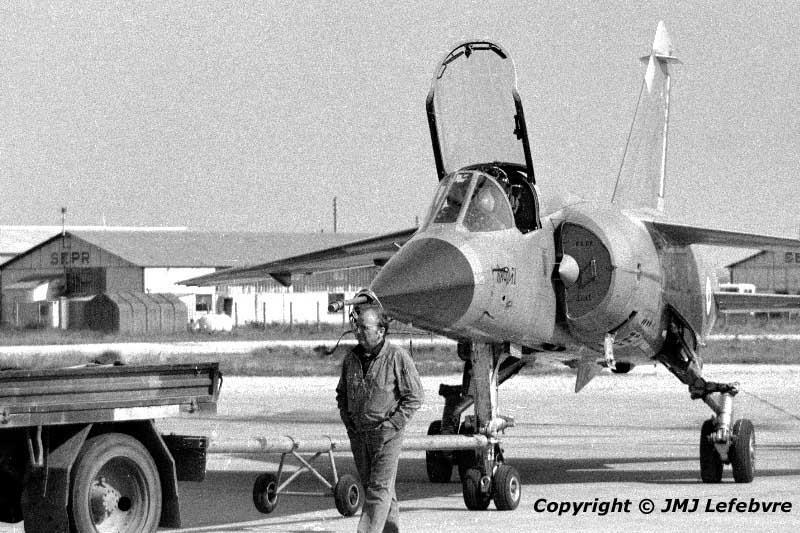 In the first part of this Istres Air Base coverage you saw Mirage F1 02 about to start for a test flight. One hour later the machine had performed its scheduled program and was towed to the CEV hangar in order to deliver its tape recorders and to be closely checked. Before towing, a case under left air-intake had already been opened and air intake protections fixed.